The first APFSDS round fielded for the 125mm gun. Represents a scaled-up version of 115mm 3BM-6 APFSDS round with the redesigned tail assembly (5 fins instead of 6 on the 115mm round). The penetrator is made of maraging steel so has a rather modest penetration potential. This, as well as unsatisfactory performance on slanted impacts, delegated the round to practice and trials use; this was also the round initially supplied with the export T-72s and license-produced in several countries. A modified 3BM-9 projectile with the tungsten-carbide slug installed in the forward part of the projectile body, protected by a small armor-piercing cap. The projectile of this round has a slightly increased length compared to 3BM-12; thanks to deeper seating of the projectile inside the projectile assembly the overall dimensions of the round remained about the same. Long discontinued in the Soviet Army, this round remained the most advanced 125mm round available to Soviet client states until the end of USSR. BM-15 and its local derivatives were license-produced in many countries. A low-technology version of 3BM-15 that had no W-C slug, but had a more developed armor-piercing cap to offset reduction in penetration. Presumably limited to export and training use. Research topic "Zakolka". Almost same overall dimensions as BM-15, but uses a much more massive AP cap that occupied much more space under ballistic cap. As a result the round is considerably heavier than BM-15, at the expense of a lower muzzle velocity. This was the most common APFSDS projectile used by Soviet Army in late 70s-early 80s, and though no longer produced is still massively stockpiled and cleared for use. Research topic "Nadezhda" initiated 1977. 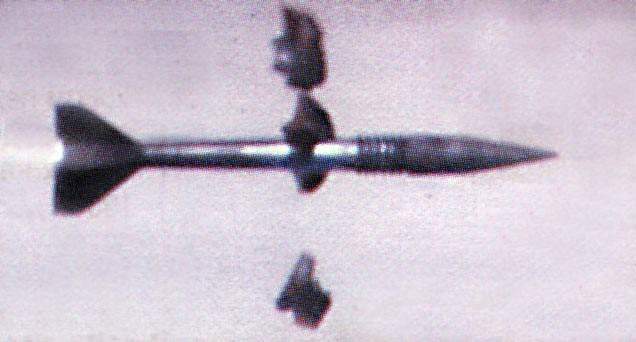 The last projectile to follow the BM-12 design principle of a maraging steel body with a small heavy alloy slug to enhance penetration and using steel ring-shaped sabot. Compared to BM-22, reconfigured the AP cap and repositioned the W-C insert to the rear of the projectile body to solve the problems the earlier rounds had with slanted impacts (high ricochet probability). It was also the first round whose development specifically aimed at improving performance against laminate armor arrays present on newly emerging threat armor. Finally, the round also utilized a reconfigured sabot based on research from the parallel research topic "Nadfil" aimed at producing an APFSDS with uranium penetrator. Research topic "Nadfil". The first round with a new sabot based on a different separation principle. The sabot had enlarged sabot-to-projectile interface area and finer threading, and was manufactured out of V-95 aluminum alloy rather than steel to keep the weight down. The fins were modified to reduce their weight and in-flight drag. The round utilized uranium penetrator; internal projectile composition and alloy details unconfirmed (presumably the composition was comparable to the 3BM-26 and the alloy used possibly uranium-nickel-zinc alloy "UNTs"). Research topic "Vant". The first Soviet uranium monoblock projectile. Together with 3BM-42 remains the most well-spread round in the Russian inventory. Research topic "Mango" initiated 1983. An advanced round designed to defeat modern laminate armor arrays. Had a very complicated design, including the solid frontal ballistic/penetrating cap, shock absorber/secondary penetrating cap, and then two WHA penetrators of very high elongation. The penetrators interfaced with the projectile body by means of a sheath manufactured of a low-melting-point alloy; during the penetration the sheath would melt allowing the penetrators to slide freely forward without losing energy and integrity on separation from the projectile body. Used a further evolution of the sabot introduced on 3BM-29, manufactured out of improved V-96Ts1 alloy. This round is common in current Russian inventory, and has also been exported in the recent years for use with more modern Russian and Ukrainian export tanks (T-80U, T-80UD and T-90). Research topic "Svinets" initiated 1985. An advanced high elongation uranium monoblock round, utilizing a finned composite sabot with two areas of contact, and subcaliber stabilizing fins. This is the APFSDS round that takes the most advantage of the total projectile length allowed by the Soviet autoloaders. This is by far the most potent Soviet APFSDS round which corresponds to the performance of contemporary NATO APFSDS rounds, and allows to bridge the gap between 125mm ammo capability and advances in NATO armor of the last decades. Research topic "Svinets-1". A brand new round with extremely high elongation tungsten alloy penetrator, utilizing a 4-petal finned composite sabot with two areas of contact, and subcaliber stabilizing fins. This round has a total length of 740mm and so does not fit in traditional T-72 autoloaders. The autoloader upgrade is straightforward and is assumed to have been carried out on newly built T-90 tanks that are therefore compatible with this round. The indications 3BM-42M/3BM-44M are unconfirmed: even though this is what is written on the body of the round in the released picture, it is unclear if the round has been fielded and therefore already awarded a GRAU designation; Rosoboronexport sales literature still refers to it simply as "high-performance APFSDS round". GRAU assembly designation 3BM-10 3BM-13 3BM-16 3BM-18 3BM-23 3BM-27 3BM-30 3BM-33 3BM-44 3BM-48 3BM-44M? DOI 1962 1968 1972 1972 1976 1983 1982 1985 1986 1991 199-? mass (without sabot), g 3600 3600 3900 3900 4485 4800 4850? 4850 4850 4850? 4600? Certified penetration at 2000m, 0°/60°* 245/80 280/110 310/120 290/110 380/170 410/200 430/210 500/250 450/230 600/300 ? * The penetration at 60° is listed in terms of defeated plate. To convert this to approximate actual penetration route length, it should be multiplied by 2. Training/practice FSDS round (imitates APFSDS trajectory out to 3km, rapid decceleration afterwards; maximum range under 8km); projectile mass 5.2kg; muzzle velocity 1830m/s. Uses standard body of 3BM22 round with the frontal assembly modified to increase aerodynamic drag. This page is © 1998-2009, Vasiliy Fofanov.